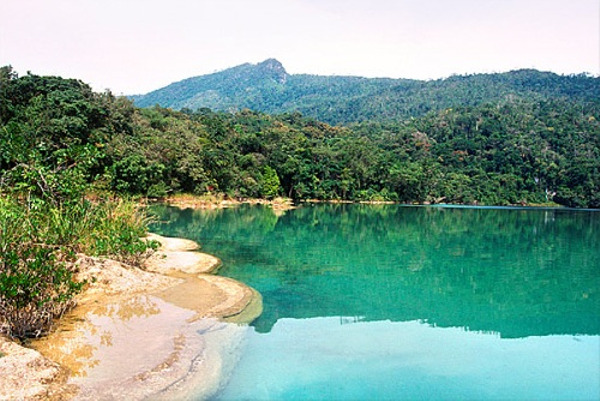 Chiapas is a land of adventures known for its traditions, celebrations, and wonderful landscapes. 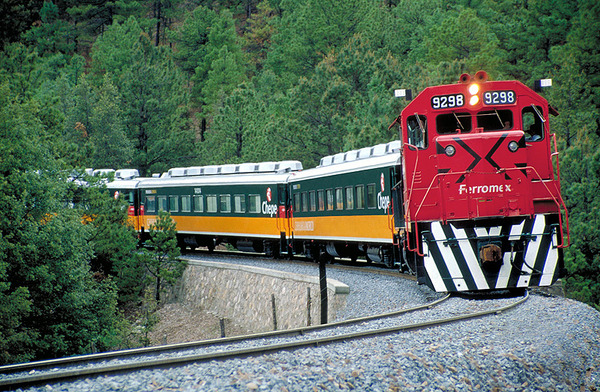 It is a very mountainous region where nearly one million Mexican Indians live. Nine different ethnic groups live here. 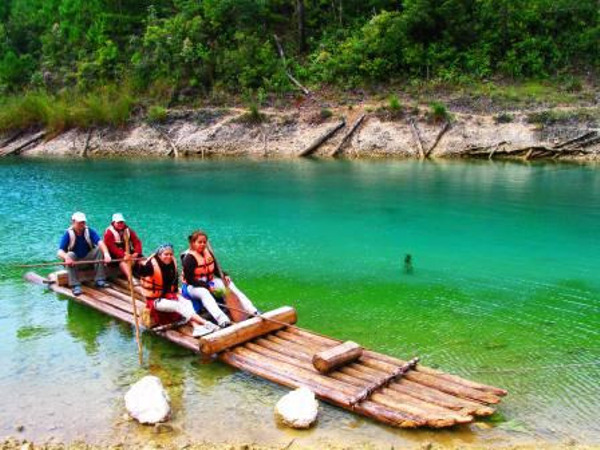 Thanks to this trip you will discover Chiapas as we love it. You will discover beautiful natural landscapes such as the Cañón del Sumidero National Park, the Lagunas de Montebello National Park, the El Chiflon waterfalls, Agua Azul and Misol Ha. 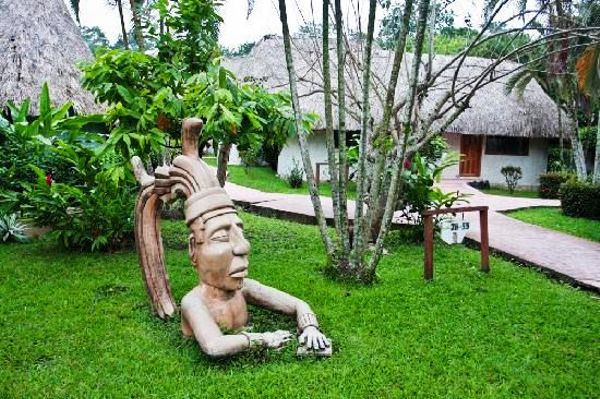 You will visit remarkable archaeological sites such as Bonampak, Yaxchilán and the mysterious ceremonial center of Palenque. If you dream of wide open spaces and treks away from mass tourism? This trip is made for you. It combines culture and sports activities for every level. Vamonos! 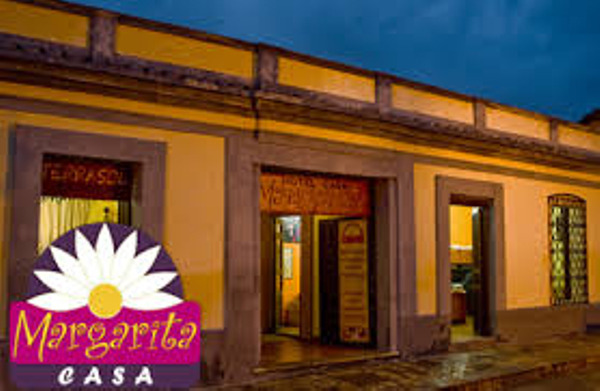 Afterwards, we drive to San Cristobal de Las Casas. End of the day at leisure to visit the indigenous town and its traditional market. 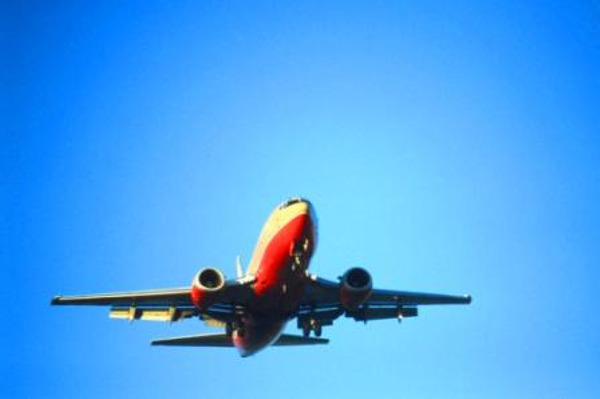 Note: Canyon visit cannot be guaranteed in case of arrival after 14:00 at Tuxtla's airport. 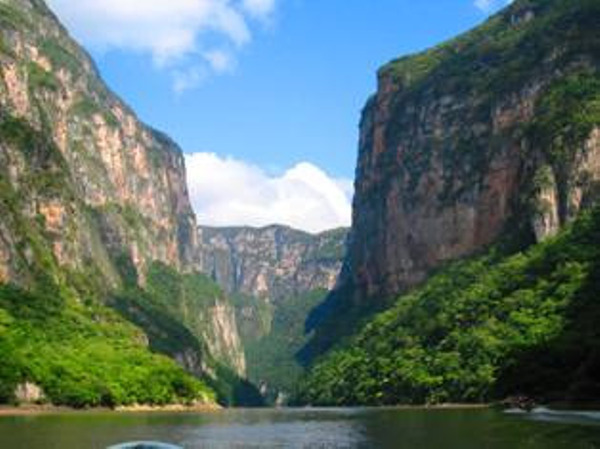 Option included : Entrance fees to Canyon del Sumidero . Overnight stay at hotel Margarita. Breakfast at 350m. Horseback ride, for every level. The horses are obedient, ideal for beginners. San Cristobal is located in the center of an Indian population area where the Zapatista movement carried by Subcomandante Marcos for the defense of Indian rights started. 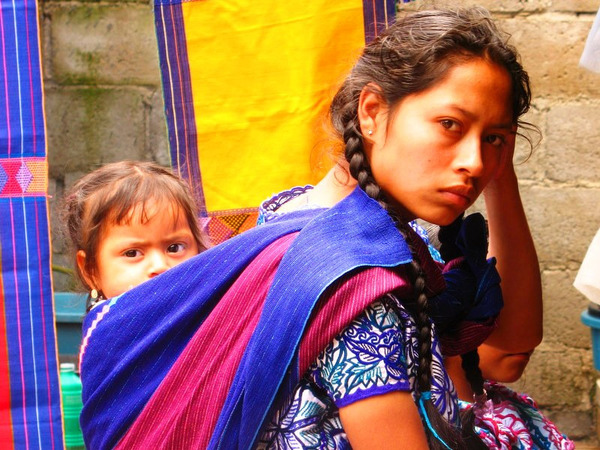 Every morning, the Tzotzil people sell their products at the market. After breakfast we head to the village of San Juan de Chamula where the inhabitants practice a form of syncretism: a mixture of Christian beliefs and ancestral rituals. Then we head to Zinacantan where a Tzotzil family invites us into their house and shares with us their customs and traditions (weaving), as well as a glass of pox (corn-based liquor) and handmade tortillas. We head back to San Cristobal for lunch. End of the day at leisure. This morning we go on a one-hour walk to the El Chiflon waterfalls and its innumerable crystalline water wells. Then we head to the Montebello Lakes. We go on a little one-hour hike around the Lagunas de Montebello: 59 little lakes, all of a different colour, including purple, turquoise and even emerald green. 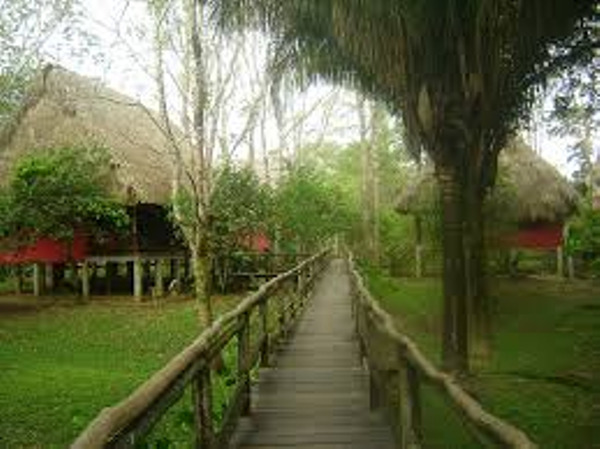 We continue towards the village of Tziscao where we will spend the night. 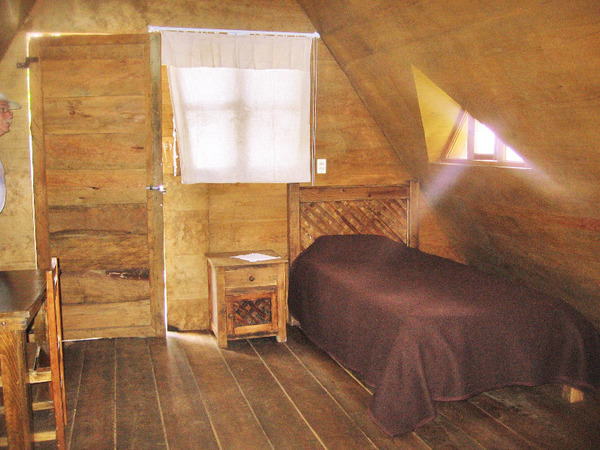 Overnight at the cabanes tziscao. This morning we head to the Montebello Lakes. We go on a little one-hour hike around the Lagunas de Montebello: 59 little lakes, all of a different colour, including purple, turquoise and even emerald green. 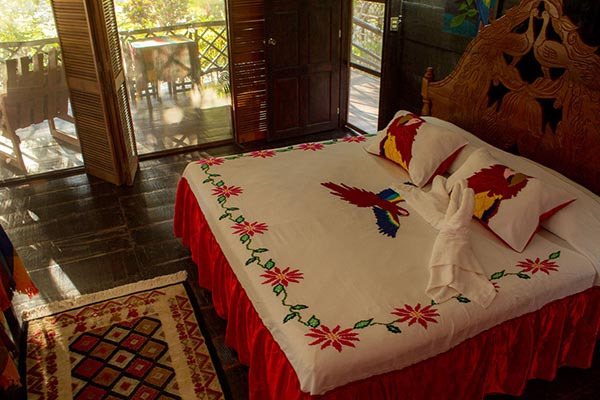 Then we head to the campsite « Las Guacamayas », where numerous monkeys and toucans found shelter and where we will spend the night. 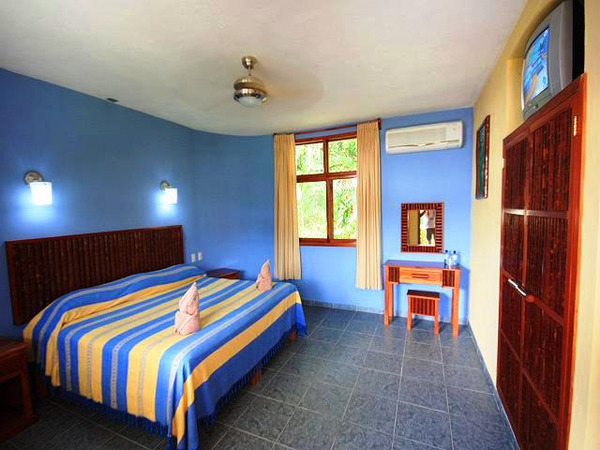 Overnight stay at hotel Las Guacamayas. 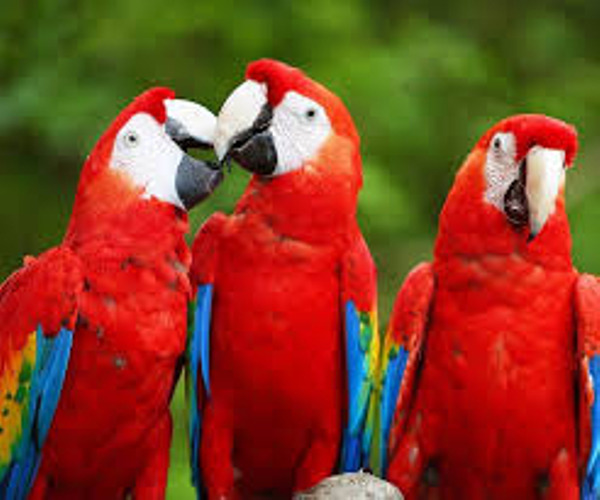 Is there any better way to be woken up than by parrots in the midst of tropical nature? Breakfast at the camp and departure on a pirogue for a 3-hour adventure in permanent contact with the fauna and the flora of the Reserva de los Montes Azules. We head back to Las Guacamayas. Departure for the majestic site of Bonampak. The site, discovered in the middle of the jungle in 1946, features gorgeous and incredibly well preserved frescos, depicting wild fight scenes, on the inside walls of the temples. 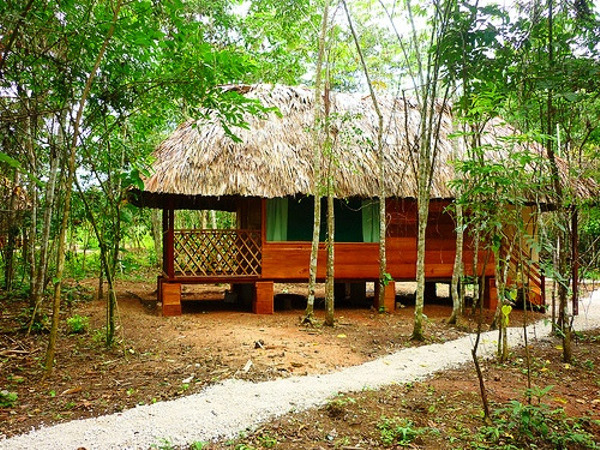 Part of the entrance fee goes to the Lacandon indigenous community, supposedly the true descendants of the Maya. Then we go on a rafting trip. We enter the heart of the jungle and for about 1 hour, we go down a series of waterfalls about a meter high (some can reach 2.5 meters in the rainy season). Then we paddle for an hour before leaving our boat on the side of the river. A trail in the middle of the forest takes us to the small archaeological site of Lacanjá. Then we head to the Moctuniha waterfalls where we will get to swim. In the afternoon, possibility to go for a walk in the forest in Lacanja instead. We spend the night at Don Enrique’s campsite. 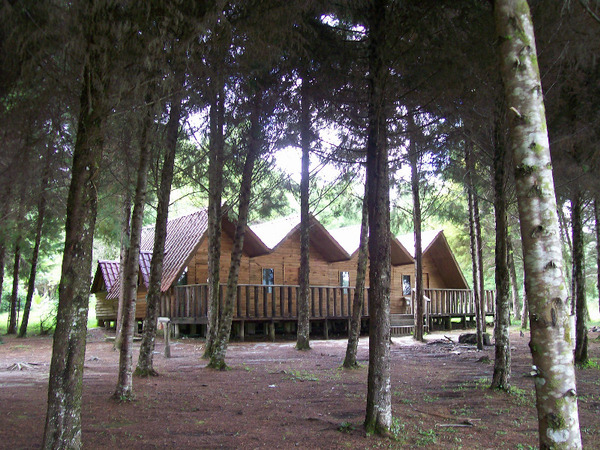 Overnight stay in cabins at Top Che camp. In the morning we visit the archeological site of Yaxchilan (‘Green Stones’ in Mayan language), which is probably the most beautiful Mayan archeological site of all of Mexico. It was an important center during the Classic Era and a dominating power in the area. Yaxchilan was for a long time allied to Tikal and rival to Palenque. 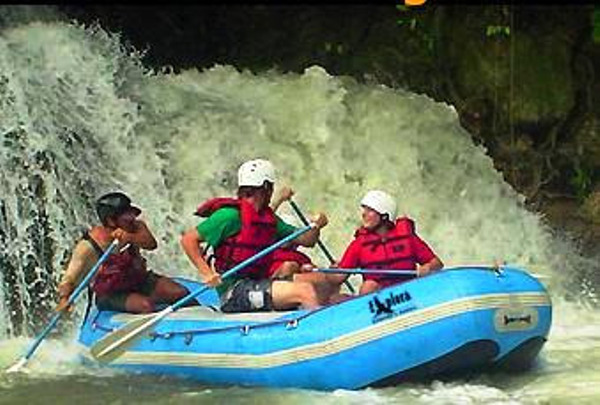 We reach the site paddling down the Usumacinta River on a pirogue (45 minutes). 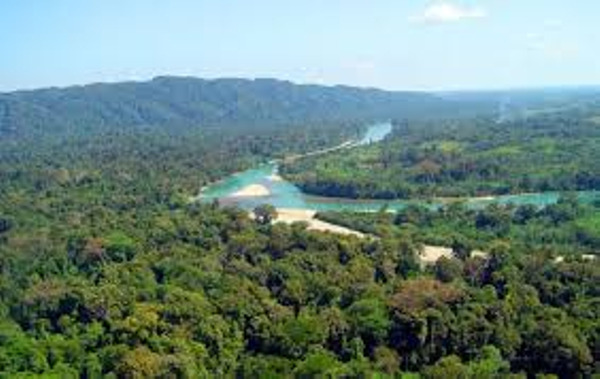 Discovery of the site in a “first exploration” atmosphere, among many howler monkeys and toucans. We go for a 2-hour walk between Mayan temples and stelae. Then we head to Palenque. 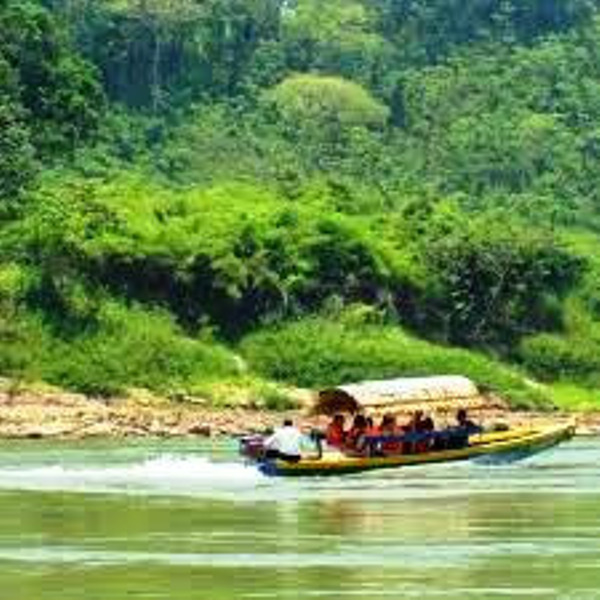 Option included : boat to Yaxchilan. Overnight stay at hotel Villas Kin Ha. In the afternoon visit of the archaeological site of Palenque. It might well be the most magical site of Mexico. 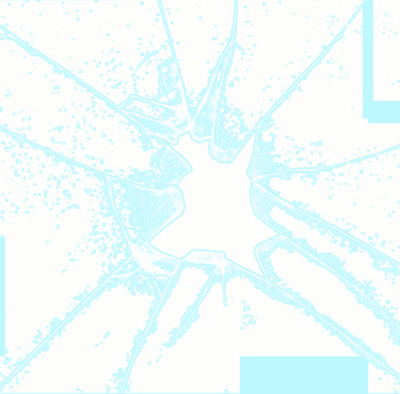 It gives the impression to penetrate a deep, mysterious and secret place, of a light and delicate architecture. 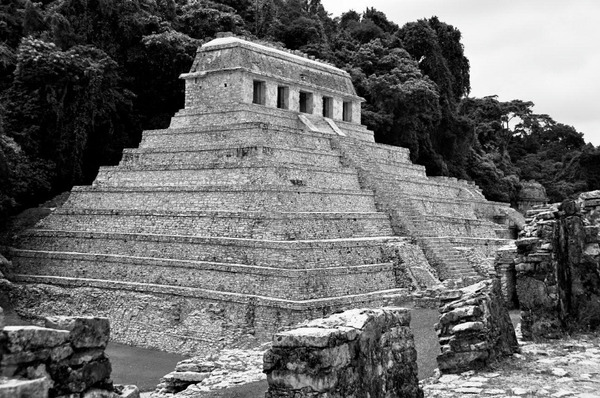 At the heart of the Inscriptions Temple stands the crypt of King Pakal, discovered in 1952. It still contained the remains of the powerful monarch, covered with jewels and a mortuary mask made of jade mosaic. The surrounding jungle and the buried ruins create a fascinating scenery and we can easily imagine the magnificence of the place, back when the temples and the palace were still covered with polychromes paints and a richly adorned crowd animated the esplanades. Meeting with our guide for a beautiful adventure in ‘la selva’. We discover Mother Nature in the height of her splendor during a 2-hour hike amidst gigantic trees and creeper. After a refreshing moment near the waterfalls, we go back to the hotel. 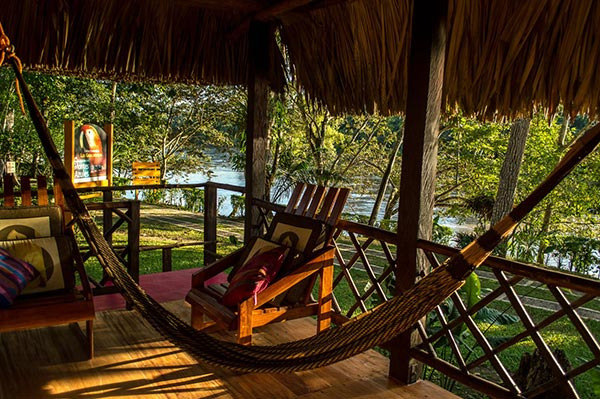 If luck is on our side, we might see howler monkeys. 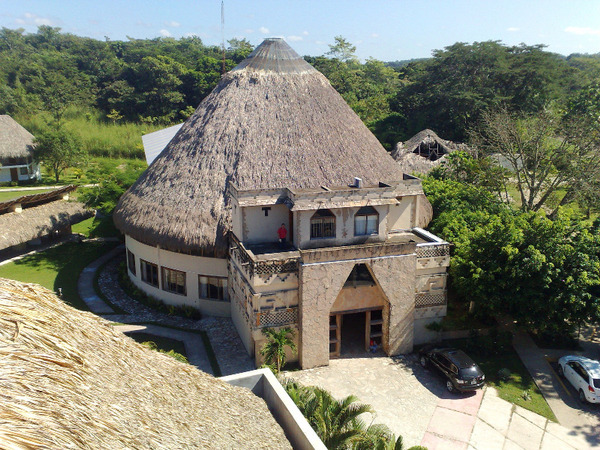 Option included : english speaking local guide in Palenque (meeting at 08:30 in main entrance). After breakfast we head south. 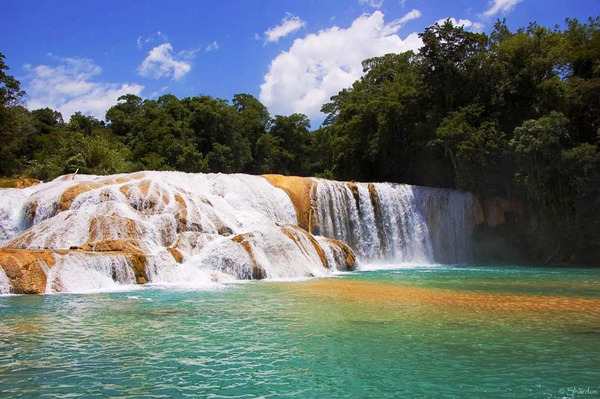 All year long, water comes down from the mountains and creates magnificent waterfalls like Misol- Ha or Agua Azul. We take the time to go swimming in one of the many pools shaped by the waterfalls. Return to Palenque and time to shop in town (the handcrafts that can be found here are very varied). Departure from Palenque in private transportation to reach Villahermosa. Transfer to Villahermosa Airport. Flight ? at ?. 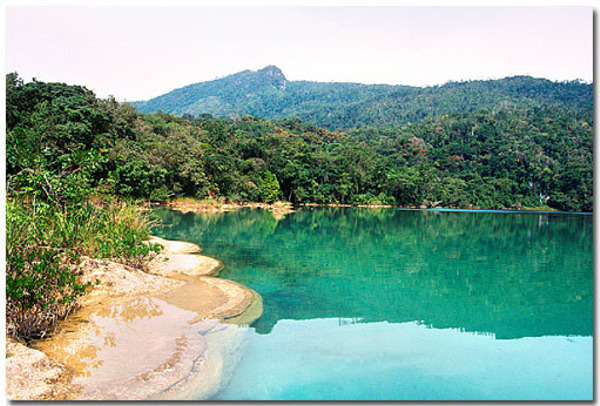 Option included : Entrance fees Lagunas de Montebello. Option included : Entrance fees Chiflon. Option included : Entrance fees to Bonampak. 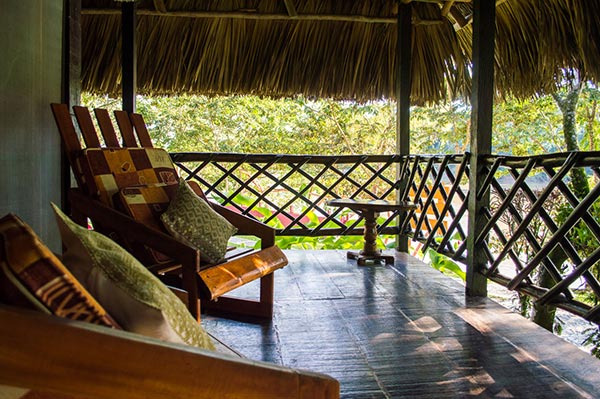 Option included : Entrance fees to Yaxchilan. 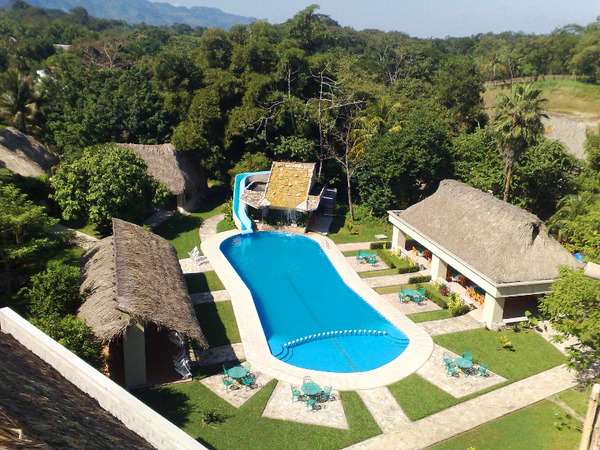 Option included : Entrance fees to Palenque. 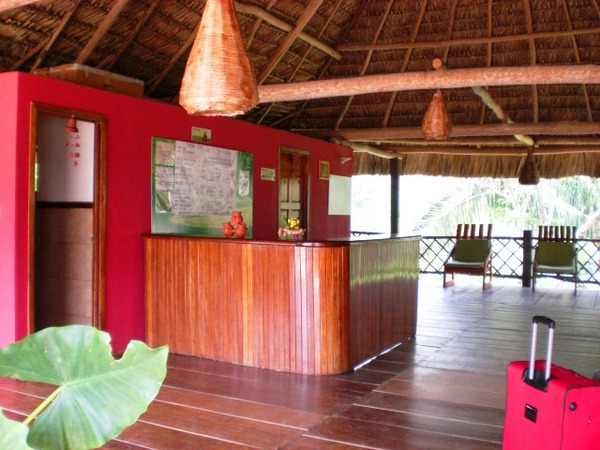 Option included : Entrance fees to Misol-ha. 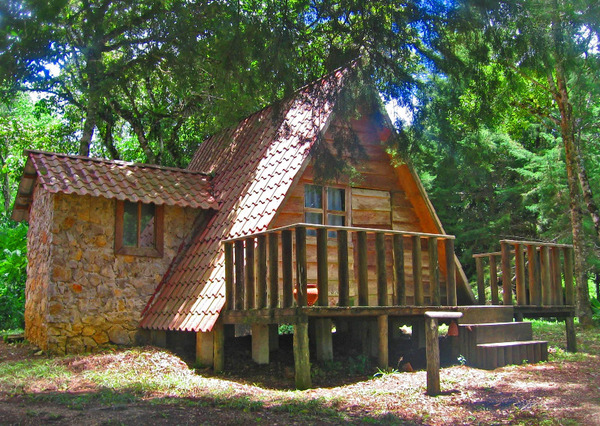 Option included : Entrance fees to Agua Azul. 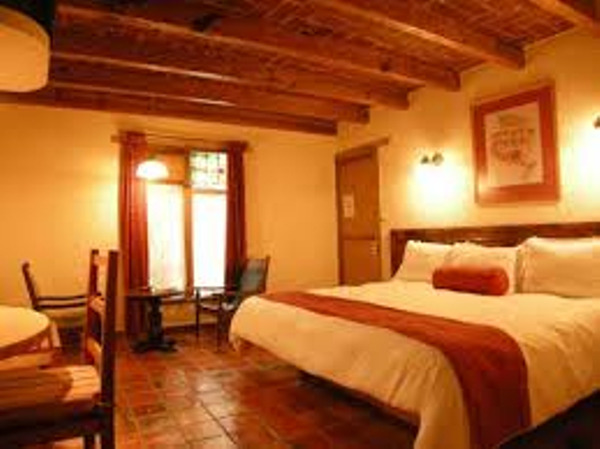 The Hotel Posada Margarita is located in the heart of San Cristobal de las Casas just one and a half blocks from the main square. The excitement of San Cristobal is on our doorstep! 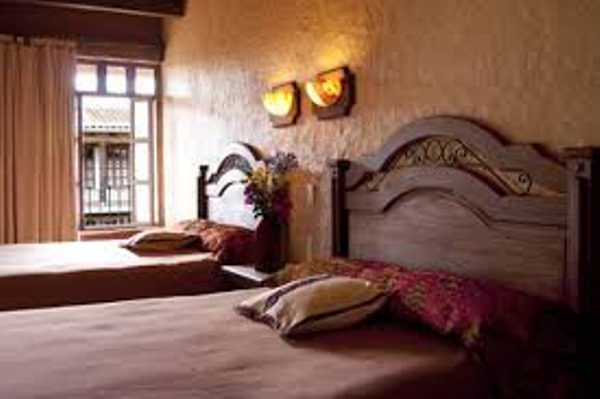 The hotel is housed in a XIX century construction that was rebuilt 10 years ago to be Posada Margarita Hotel. 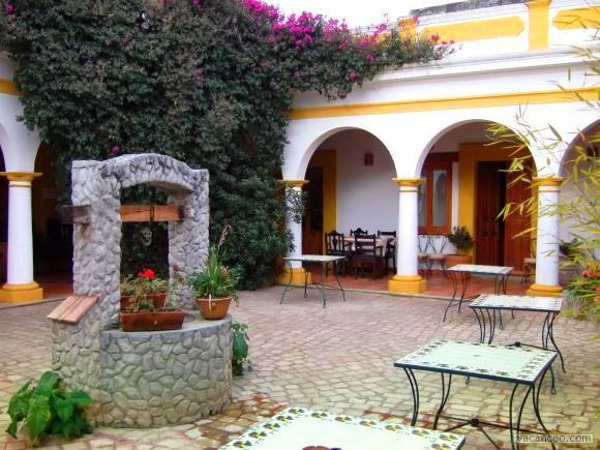 Rooms are arranged around a central colonial style patio. On the same street you can find shops restaurants and bars. The Ejido Tziscao has elaborated a plan for continued sustainable development and eco-tourism, with the vision that this beautiful patrimony will continue to offer magnificent possibilities for sharing, learning and enjoying the flora and fauna of Mexico. 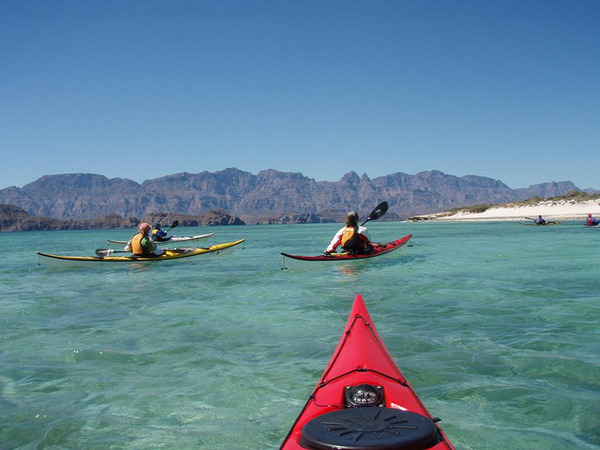 Utilizing the knowledge of how to create a sustainable environment the idea is to develop and expand attractions for the eco-tourist, bettering the services and options for the enjoyment of the visitors. 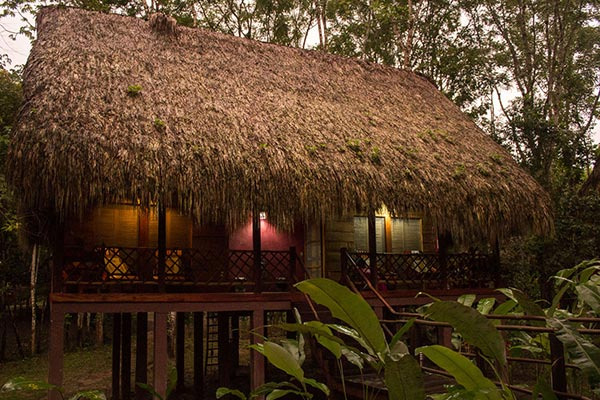 Within the plan it is contemplated to create various trails to explore distinct elements of the forest, excursions with professional guides to observe the resplendent Quetzals, summer camping areas and adventure sports. Originally this site was a place for students to stay while studying the biodiversity of this region and in particular the colorful guacamayas. 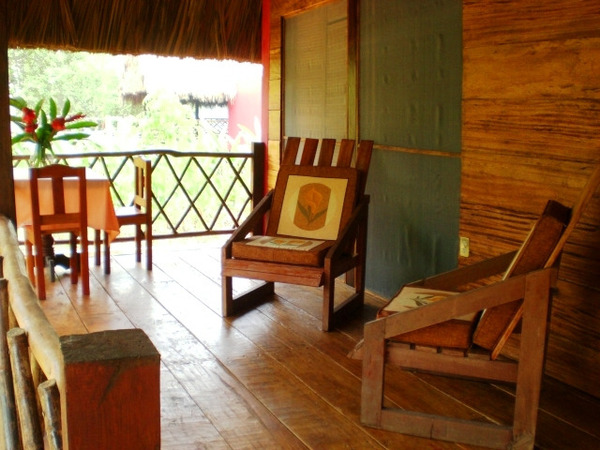 However, the camp has now become a high-end ecotourism center with accommodations in wooden cabins with palm roofs. 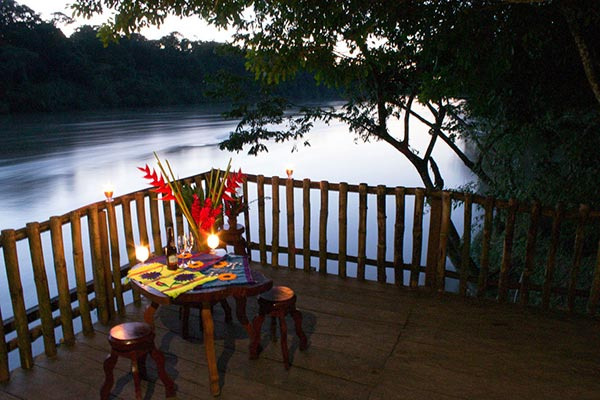 The setting, between the winding river, tropical flowers and howler monkeys, is simply superb. 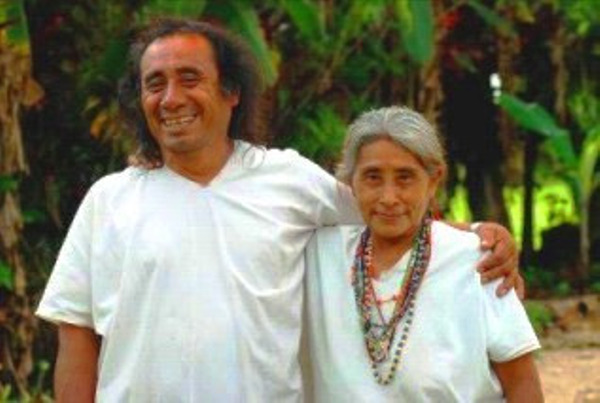 Camp Top Che is in the town of Lacanja Chansayab and is run by a Lacandon family. 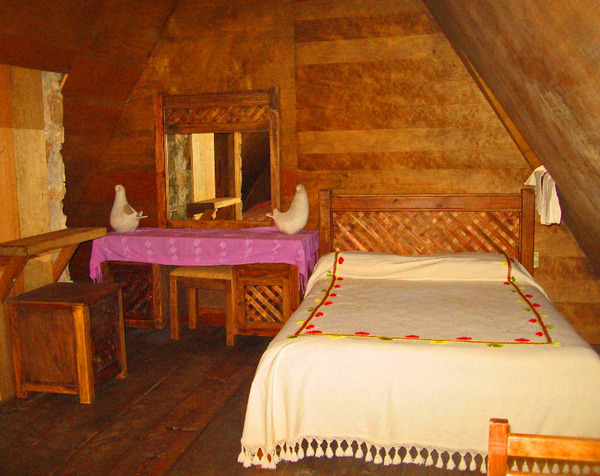 It offers accommodations, food, craft sales and guided walks (to the jungle and traditional Lacandon milpa). 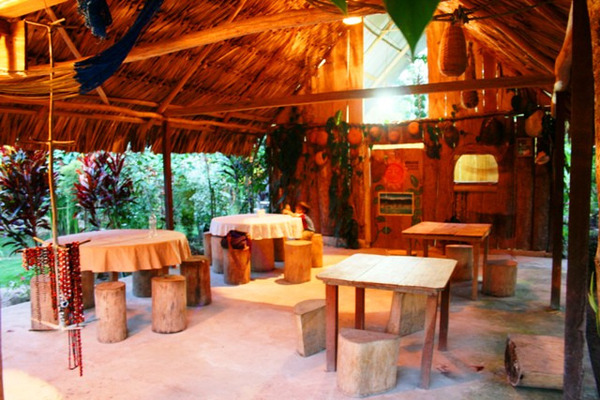 They also offer you the chance to experience an ancient Mayan ritual: the Lacandon ceremony. 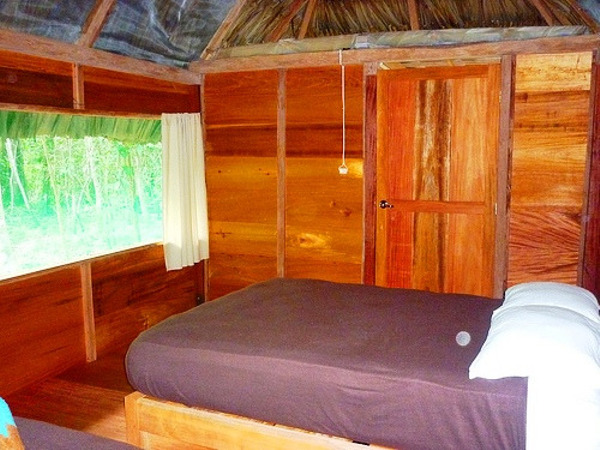 This beautiful natural retreat set in the jungle is very close to the imposing ruins of Palenque. 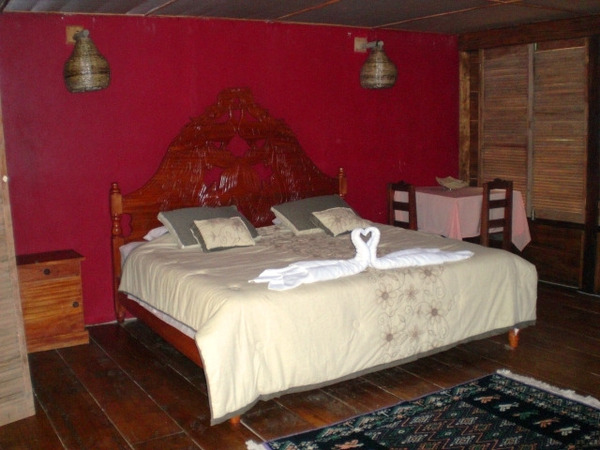 This hotel combines a simple, almost rustic architecture with all the comfort and amenities required for a magical and adventurous stay.